San Bernardino, also known as the “Inland Empire”, is home to over 200,000 people. There are various advertising and billboard opportunities throughout the city. There is a fairly large tourism base due to attractions like the McDonalds Museum and the San Manuel Amphitheater. You can advertise your local business near one of these attractions using billboards and other out-of-advertising. 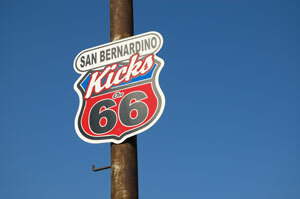 San Bernardino is home to several yearly events and festivals such as Route 66 Rendezvous and the National Orange Show Festival. San Manuel Stadium, home of the Inland Empire 66ers of San Bernardino, also offers the options of digital signage advertising to better target your sports related audience. Billboards on Interstate 10, also known as the San Bernardino Freeway, Interstate 215 or any other highway servicing the city is another effective advertising opportunity.